As I’m writing this, I’m laying across my bed, and keeping me cool is the fan that has barely had a moment’s rest this summer. It’s another heat wave folks! Yet, I’m yearning for Fall. Yesterday, as I was walking through the park where I work, I noticed a small dusting of leaves on ground, and it made me happy. I’m an Autumn junkie. Give me crisp days where a light jacket, and a good set of scarves and mittens will suffice. Pumpkins gracing front porches, and leaves in colours of brilliant gold, red, and lingering green. But summer isn’t quite over yet. We all have one, our favourite go-to scarf, the one that we excitedly and proudly wear once it’s finally brisk enough. Mine is my Galaxy scarf, so named for the yarn it is made from. It’s light yet warm, and oh how I love it. Paired with the matching set of fingerless gloves, and the cool Autumn winds have nothing on me. Fall does have a downside, for following her wave is inevitably that heartless wench known more colloquially as Winter. 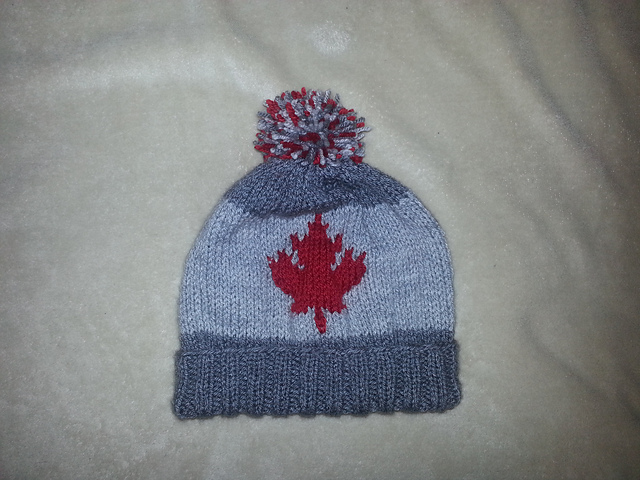 I’m Canadian, and while we may revel in the first snowfall, winter festivals, and anything hockey related, a Canadian winter seems never-ending, especially in the dark depths of February, when you are cold to the core and not even your warmest handknit goods can warm your heart. But never-fear, for summer isn’t quite over yet.